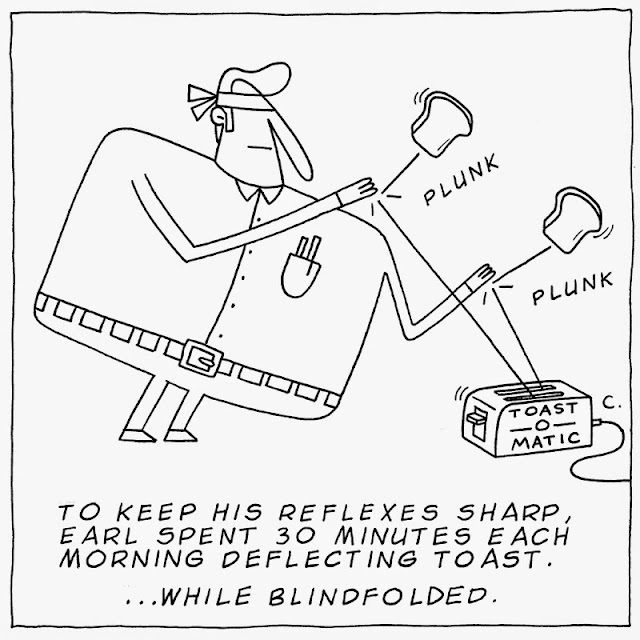 You might be laughing at Earl, but have you ever tried deflecting toast? Have you ever tried it while wearing a blindfold? No, I didn't think so. Earl is a badass.